Mark your calendars, Friday October 12 at the Park Hills Crossing Clubhouse (Downstairs). Sign up at http://websitetology.com/?page_id=247&product_id=5 you get the full day, Websiteology 101 AND Websiteology Intensive Seminars for $139. While there sign up for Davidâ€™s Free Newsletter! This will give you everything you need and more to get your website moving to the top of Google and attracting the visitors to your business that you want. I will be attending both sessions as will two of my employees. Not only should you, the business owner, attend both sessions, it is strongly recommended, by me, to bring someone else from your organization. You need someone else in your business to have the know how to add content to your site. That is the key! Adding relevant content on a regular basis!!! If youâ€™re Jamie Hensley at Goodyear Tire itâ€™s a weekly tip on tire care, car care, anything related to your car that his customers should know. Give your customers good information to keep your business name at Top of Mind Awareness. If youâ€™re Terry McCoskey, you sharing healthy living guidelines, news on nutrition, the wheel of wellness. Itâ€™s also asking your patients to share relevant information, building dialogue within the community. If youâ€™re George Humerick, Itâ€™s sharing news on tax law changes, homestead exemption, money saving ideas, case studies, how a new client benefited from switching tax guys to youâ€¦Thatâ€™s relevant to your clients! And prospective clientsâ€¦give them reason to visit againâ€¦give them value when they come to your siteâ€¦give them something new to read! If youâ€™re Craig Fourman, itâ€™s easy! Just tell people in your words what your doing, who needs prayers, how about an inspirational note every week, announce weekly attendanceâ€¦churches are great for blogging! Get your members talking on your site, sharing information that other members of the church would find beneficial. Are you Fairborn Camera and Video? I did a google search for them today and could not even find a websiteâ€¦That is a crime! Downtown Fairborn Business Association Members need this seminar! WHATâ€™S THE CATCH? SOUNDS TO GOOD TO BE TRUE?! I will make a commitment to any Fairborn Business, Organization, Club, Individual or Local Government to start a local user group that will meet monthly to review, re-learn, strategize, share information and offer help to those who make the commitment. How sold am I on this whole Websiteology thing? I have four of these damn things! This note went out to the Fairborn Rotarians; please forward to any member of the Fairborn Business Community that you want! The more people who attend, the more fun it will be! If any of my other graduates would like to offer a testimonial- please comment below (and yes- it adds links back to your site, so it would be a good idea). 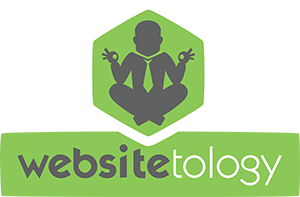 Join the Websitetologists network and get our newsletter to keep current with the web. Which is smaller, 2 or 9?